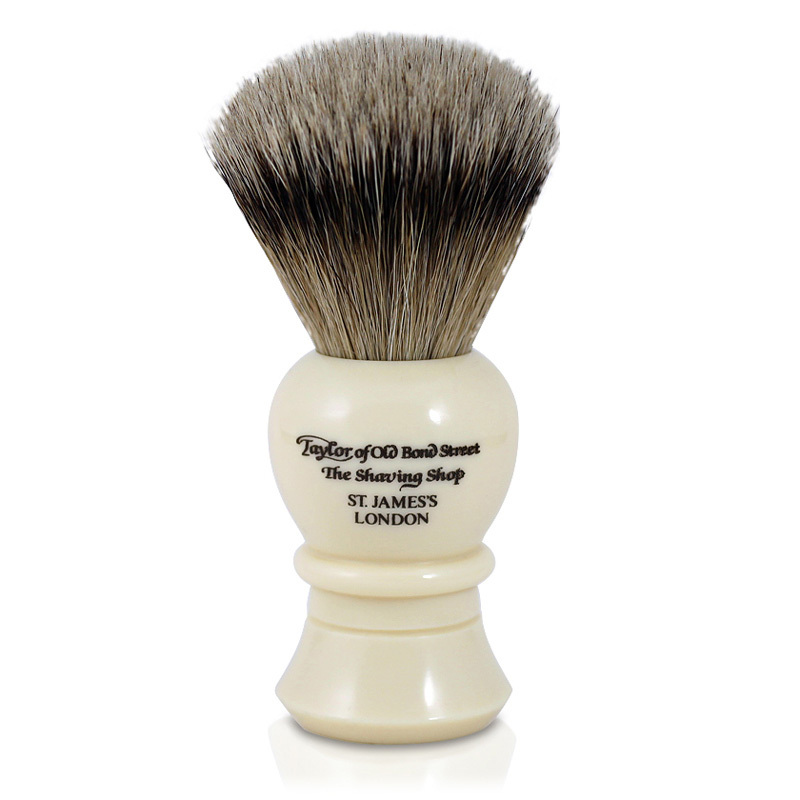 Shaving brush made with genuine, natural badger hair. With a great ability to retain water, badger hair helps to improve the barrier between the razor and skin; gentle circular motions with the brush build up a rich creamy lather for a close, comfortable shave while lifting the beard and stubble for a clean shave. The handle has a stylish, smooth imitation ivory finish and the hair bristles are soft and incredibly fine. The perfect accompaniment to any Taylor of Old Bond Street Shaving Cream.